Wonderful moody capture..love the fog and the prominent clock. Well composed and captured here! Great BW - love the misty mood! Really great shot, I like the foggy atmosphere and the B&W. 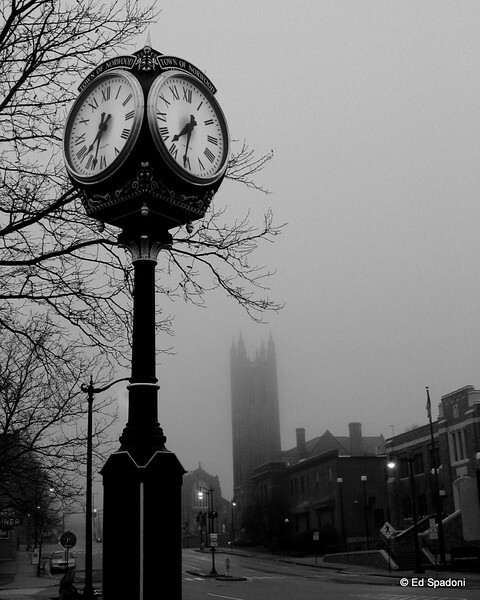 Love that old clock and the foggy atmosphere, great b/w shot, Ed! A super shot, Ed. Love the BW and the fog. Really nice. Very nice composition. You've captured the mood so well.